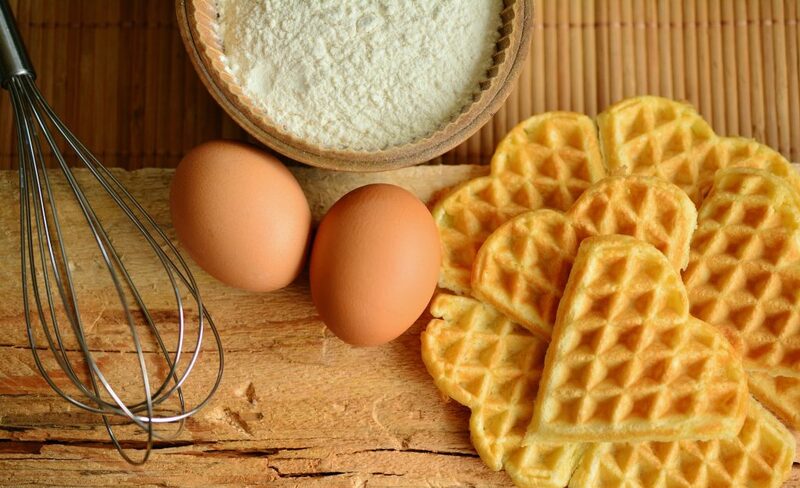 If you are in search of a substitute for baking powder in waffles, you will be happy to know that you can get one and that your waffles will come out as perfect as they would have before substitution. When people ask me if I can provide them with homemade waffles without baking powder, my answer is always yes. 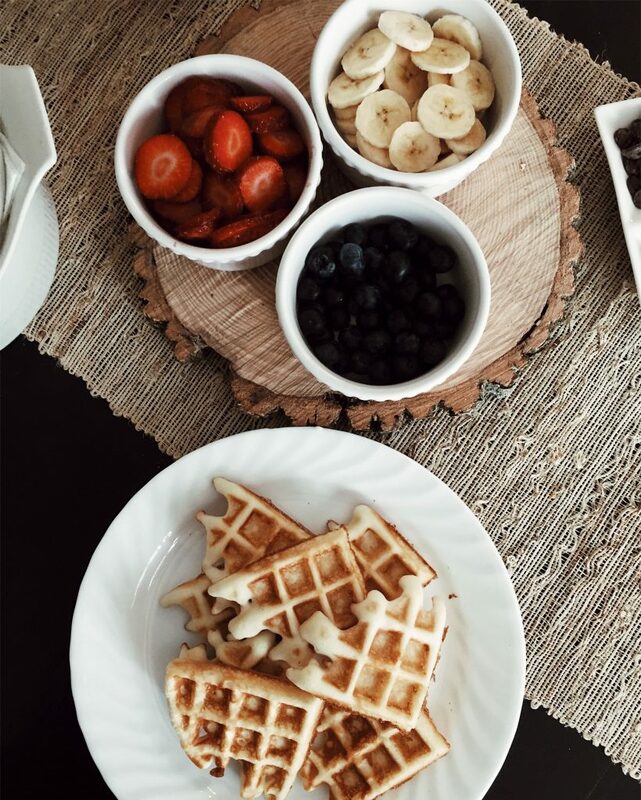 With waffles, there is nothing that you cannot do so whether you are on a diet or are trying to cut out some ingredients from your meal plans, alternation is always a welcome idea. 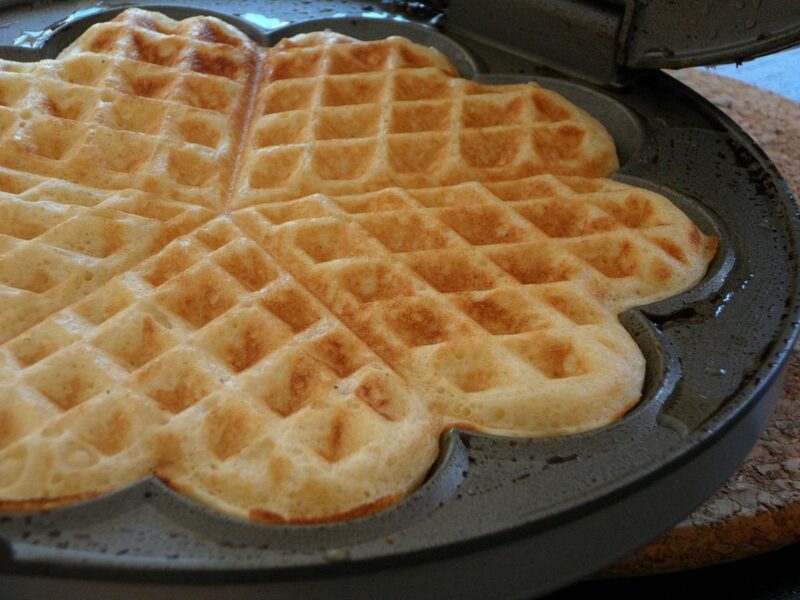 I believe that every waffle lover should have an easy recipe that they can use whenever they wish to make some waffles. It could be that you have kids over or that you are making breakfast and you want to breathe some energy into your meal plan. Waffles are an excellent idea in this regard. One thing that I can promise you at this juncture is that my recipe is quite simple and I have shared it with newbies in the cooking field who have recorded tremendous results. It also calls for a few ingredients which you probably have in your kitchen. What’s more, the insides are so fluffy that you will feel like you are munching on a cloud. The outsides are crispy to enable you to have that perfect balance that will have you salivating for more on the first bite. I can also make another promise to you now. You can create any flavor that you wish with this recipe, thus making it the only waffle recipe you will ever need. Let’s get down to making waffles. Yippee! It all comes down to the batter, and if you get it right at this stage, you will have zilch to worry about in later stages. Do not worry though as making the dough is quite easy and you should finish up in a matter of minutes. This batter method calls for mixing the dry ingredients and the wet ingredients in separate bowls. Once they are evenly combined, you then proceed to incorporate them in one bowl. From here, you can move the batter to your waffle maker and await the fruits of your labor. And sweet they will be! For some people like me, knowing the purpose of every ingredient helps me in making the batter to perfection. It also enables me to substitute ingredients because if I know that ingredient A works just as well as B, I can easily alternate the two. As such, here is a summary as to the purpose of the ingredients that you will come across in the recipe. Without flour in the mix, your waffles will have no structure, and thus they cannot exist. You have a few options in this regard. You can opt to use all-purpose flour which most people use in baking. You could also choose to go down the healthy route by substituting this with whole wheat flour which will give you adequate dietary fiber. Another option would be the use of cake flour or pastry flour. If you lack cake flour, you could easily make some by removing a tablespoon or two of the all-purpose flour and replacing it with cornstarch. The result of this will be a much more delicate waffle and if this is what you want, go for it. Here is another tip for people hoping to make this recipe even more straightforward than it already is. You can skip the use of all the above flours by using self-rising flour. In this way, you can forego the use of salt as well as baking powder. When it comes to waffles, the choice as to whether you will use sugar or not depends on what you want. Sugar as a component is a means to add some sweetness to the dough and if you are okay with a little sugar, by all means, go for this. The recipe presented uses a minimal amount of sugar. The reason behind this is that most people tend to top waffles with syrup as well as other sweet toppings. In this way, the waffles end up being the right amount of sweet, without keeping you from adding all the toppings you would wish to have. However, this is not to say that you cannot alter the sugar in the recipe. You can go as high or as low as you wish regarding the sweetness of your waffles. However, it is essential that you note that sugar affects not only sweetness but also the texture of the waffles. 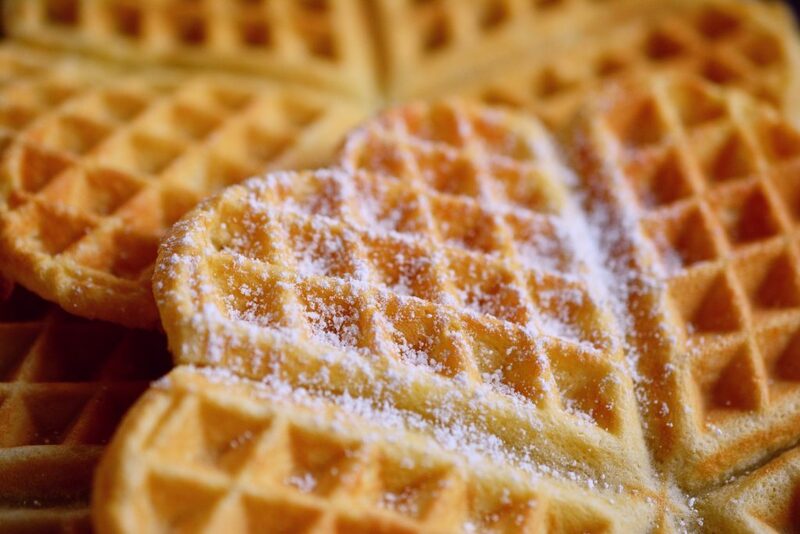 Where the sugar level is high, waffles tend to be crispier, and when the levels are low, the waffles are much softer. Salt is essential in baking as it acts in bringing out the flavors. If you bake something without salt, more often than not, the result is flat and unappealing. With salt in play, the flavors balance out, thus resulting in a delicious treat. I reckon that you have been waiting for me to get to this ingredient. The primary purpose of baking powder in this recipe is to act as a leavening agent. As such, it enables the waffles to rise and also aids them in becoming fluffy and tender. There are situations where you could find that you are out of this ingredient or for some reason, you cannot use it. In such case, you can go ahead and make the waffles. However, it is essential that you note that your waffles will have less fluffiness and will be less tender than what you would achieve with baking powder in play. That said, it is possible to make waffles without baking powder. You can also make this waffle recipe with baking soda instead of baking powder if you wish. Tenderness and fluffiness lie in the hands of milk. Where this ingredient is in play, you get to hydrate your dry ingredients, thus bringing out their flavors. You can use any milk in this regard ranging from regular milk to buttermilk all the way to skim milk. The choice is yours. Buttermilk enables your waffles to come out softer as compared to other types of milk. As such, you can use it if you want very tender waffles. Eggs work to bind the ingredients in play. As such, they hold the waffle together. In addition to this, they also aid in leavening the waffles by a certain degree. You can make substitutions in this regard such as vegan eggs. If you choose to use chia or flax eggs, you should note that the results will be denser. Oil is essential in waffles as it aids in adding flavor, giving the waffles a brown hue and it contributes to the texture. While you can use vegetable oil for this, there are many alternatives to the same, and they include canola oil, bacon fat, melted butter or other kinds of liquid fat. 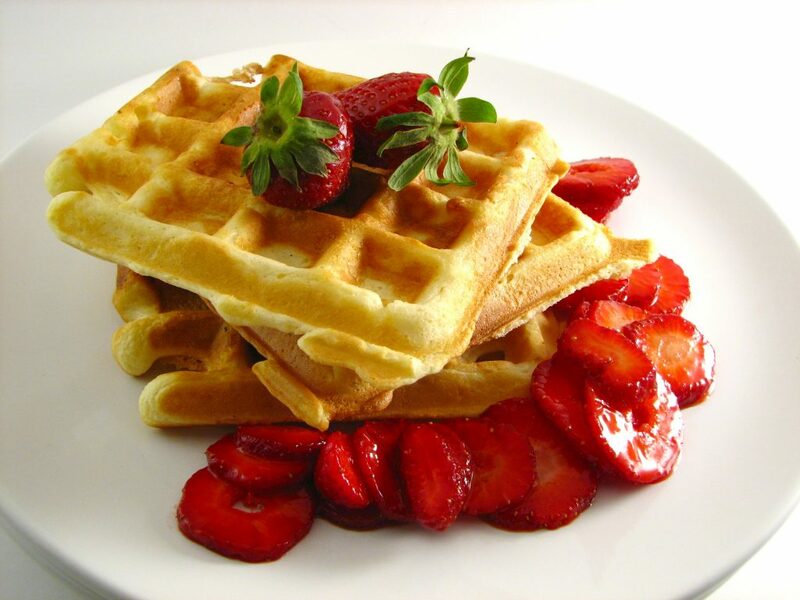 You can add any flavorings you wish to the waffles to get the most out of this recipe. We can now get down to the waffle recipe. In one large bowl, combine the dry ingredients and whisk them until evenly combined. Proceed to mix the wet ingredients in a separate bowl. Add the wet components to the dry ones and ensure that you do not over-mix. If you wish to have any add-ins in your batch, add them at this point. If not, preheat your waffle maker to medium heat before pouring the batter into the waffle iron and closing the lid. Cook until the waffles turn golden brown. The best time to eat waffles is immediately you remove them from the heat. If not, you can keep them warm in an oven as you prepare to eat them. Can you make waffles without baking powder? The answer is yes, thanks to this recipe. What’s more, you can make substitutions for other ingredients as well. 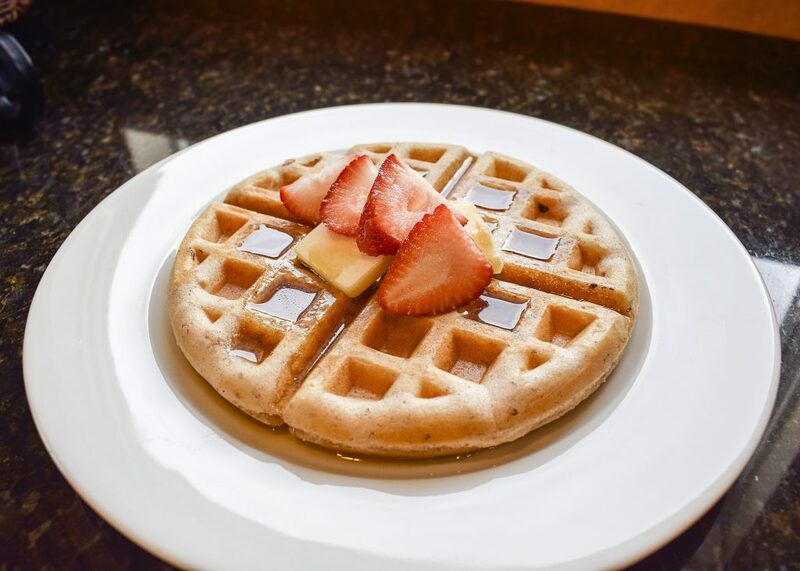 Try this easy waffle recipe without using baking powder and leave a comment below. Enjoy! Sachima. A Chinese Crispy Delight!